Hot, cold, delicate, permanent, air-dry, or cool-dry? 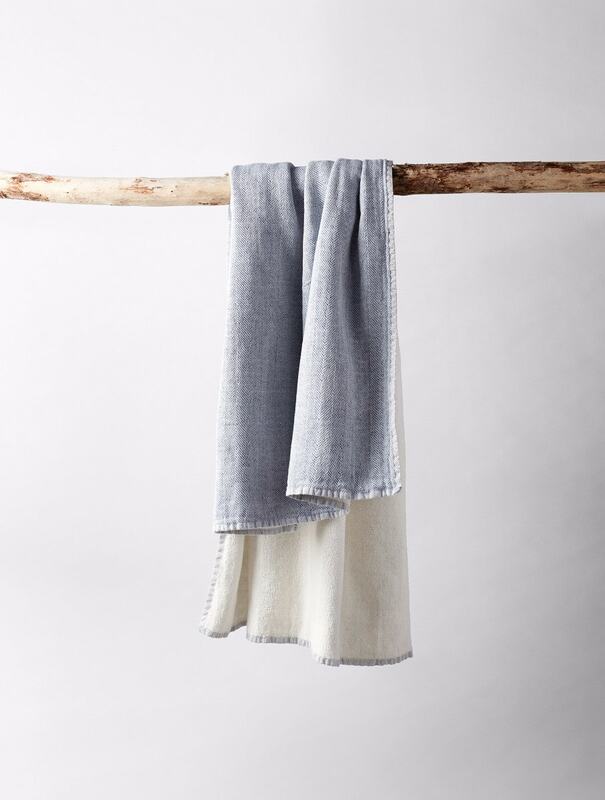 There's only one thing we love more than our organic cotton towels, and it's the many years we get to enjoy them. To make sure we treat them as good as they treat us, we break out the basics with our product team. 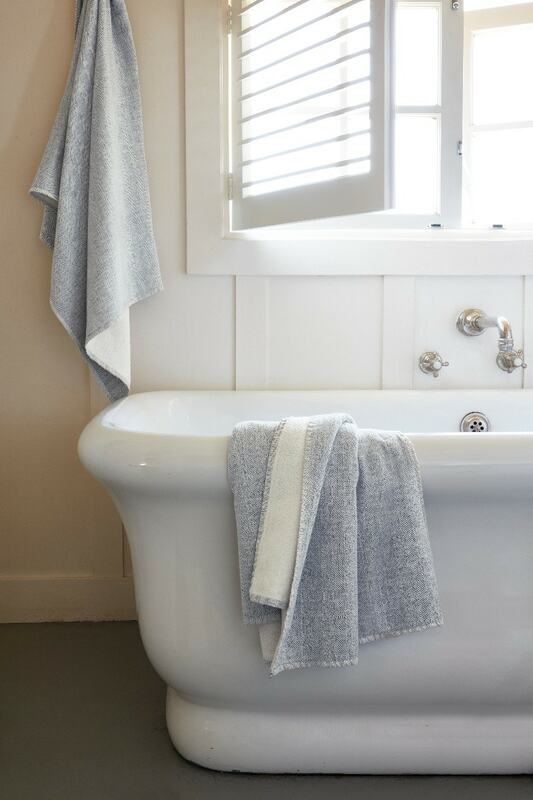 Q: Starting with the basics, for colored towels- warm or cold water? Q: And for whites and ivory? A: Cold is fine for whites and ivory but warm is okay, too. With new laundry detergents on the market, most are very effective in cold water. Q: What types of soap are best? A: A mild laundry detergent, liquid, powder or capsule- it doesn’t matter. Q: Are there any brands you highly recommend? A: We have done testing on Vaska and find it very effective. Q: Are there any ingredients to avoid? A: Chlorine Bleach and fabric softeners. Chlorine bleach is prohibited by GOTS in textile processing, which is why Coyuchi uses hydrogen peroxide for our whites. Non-chlorine bleaches are best since chlorine can turn cottons yellow and weaken the fiber. 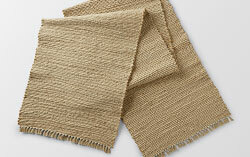 Fabric softeners reduce the absorbency of cotton textiles, which is the opposite of what you want for a cotton towel. Lastly, fabric softeners should not be used in the wash cycle and no dryer sheets in the drying cycle. 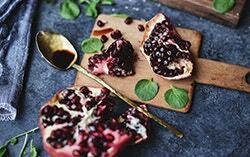 Yes, phosphates are still in the market. Despite the detergent's ban in consumer household goods in the European Union and Australia, and select states in the U.S., we continue to see select formulas with it. The term “detergent” means a mixture of chemical compounds including alkylbenzenesulfonates (say that three-times fast) that is produced in a powdered form. The discharge of soluble phosphates impacts the environments waters, creating an alarming eutrophication. Other addidtives include builders (water softeners), bleach (chlorophyll, anthocyanin dyes, tannins, etc. 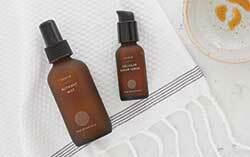 ), optical brighteners, and perfume. Q: What are common mistakes made when washing cotton towels? A: Washing in hot water, drying at high temperatures, and adding fabric softeners. Q: Air-dry or machine dry? 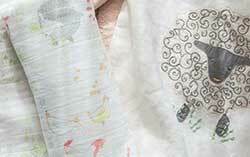 What effects do the two methods have on the longevity of the fabric? A: Air-drying towels is great, especially if you like to bring the outside in and it saves energy. Machine drying is best at a low temperature. Turn the temperature setting of your dryer down to low and discover that everything in the dryer still dries! 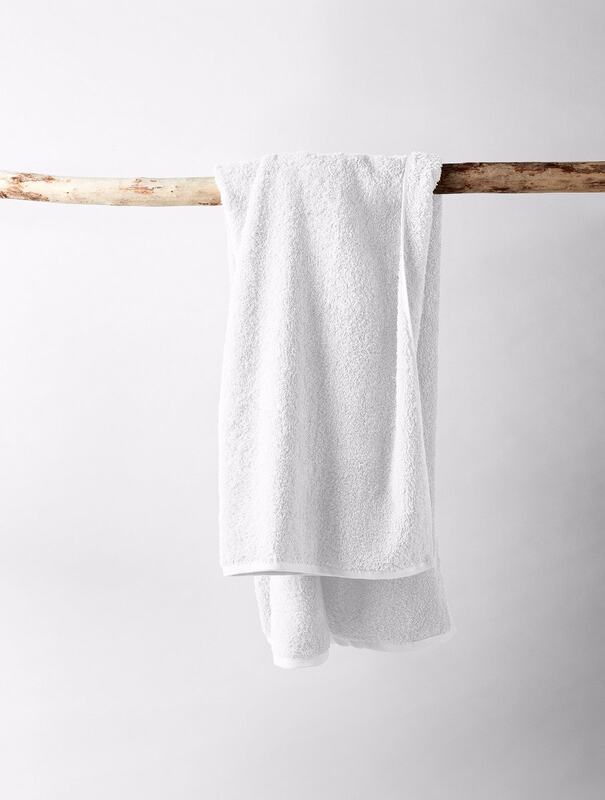 When you dry towels at a high temperature, the towels start to feel hard, they lose the soft plush feel that drew you in to buying them in the first place. Q: Do you suggest replacing towels after a certain number of years? A: That’s a personal choice since everyone has a different idea about when a towel is ‘done’. For some people it’s any visible sign of wear and others never seem to notice. 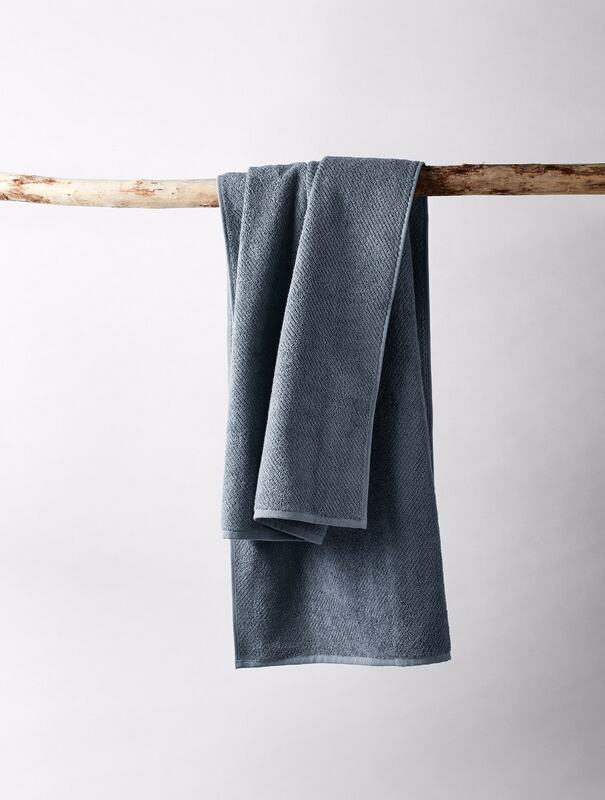 Eventually, all towels will lose some fiber and become less plush, the sewn edges on a colored towel can start to fade after many launderings, and all towels can have loops that snag or pull which can show some wear and tear. 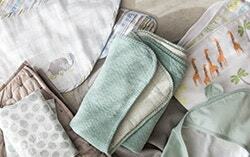 Q: What is so great about Coyuchi towels? 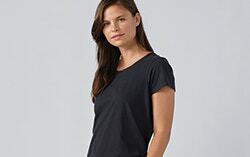 A: They are all made with 100% organic cotton and are processed in the least harmful way to dye and finish cotton textiles. 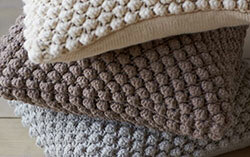 In fact, all of Coyuchi's towels are GOTS (Global Organic Textile Standard) Certified. 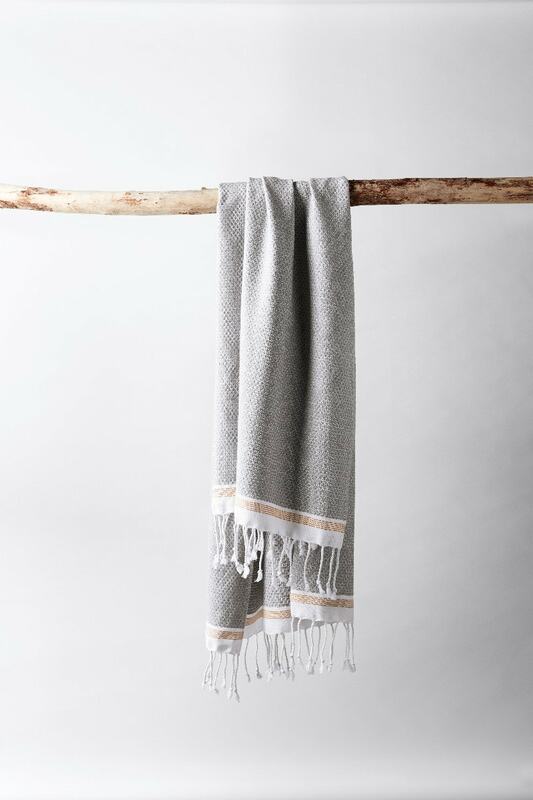 We strive for products that have a unique texture with a twill weave in the Air Weight, the yarn dye dobby of the Mediterranean, a cotton + linen blend in the Catalina and the soft and fluffy pile in Cloud Loom. They all have a dry, cotton hand feel so that you know you’re using a cotton towel and it will be absorbent when you grab it after a shower. 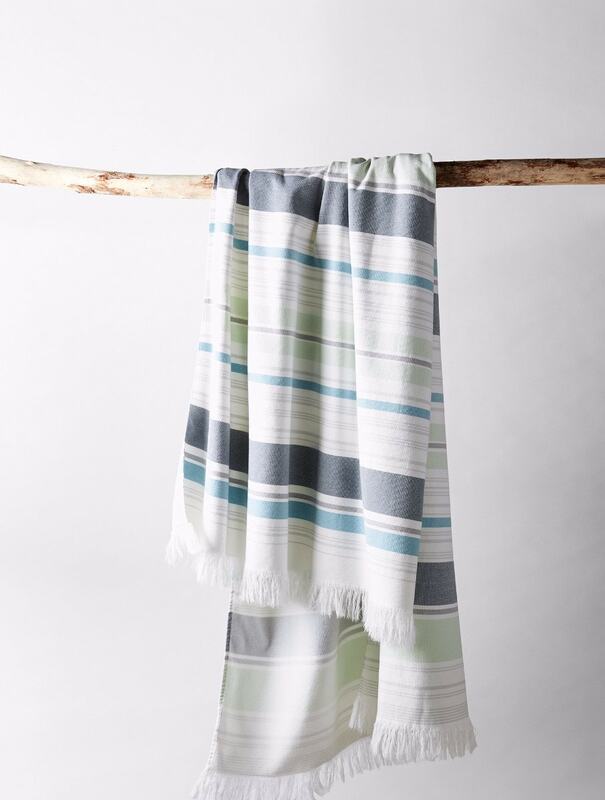 Q: Do you have a favorite towel in the Coyuchi collection? A: Oh, don’t make me choose! I am looking at Air Weight for my kids’ bathroom so the towels dry quickly, and I can give their bathroom a pop of great Coyuchi color. 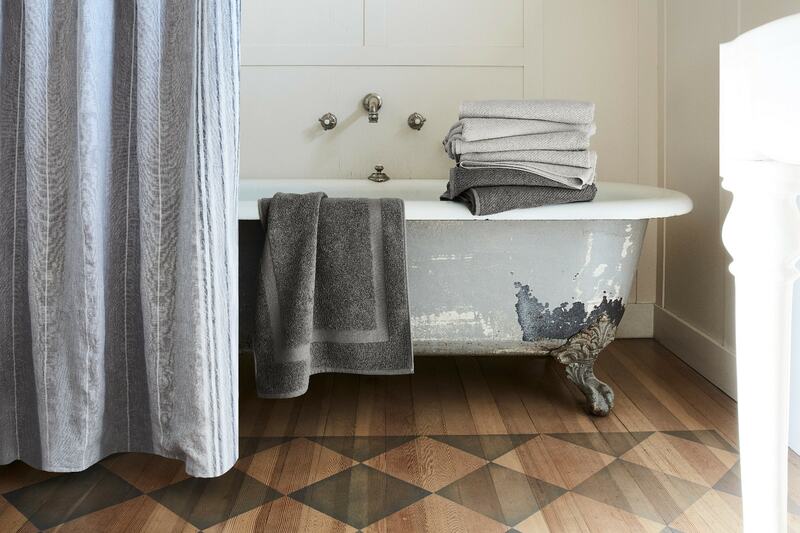 The Master bath will have Cloud Loom and Mediterranean for a little bit of luxury and a mix of textures.